It’s gonna be hot hot hot! Hot pink, that is! 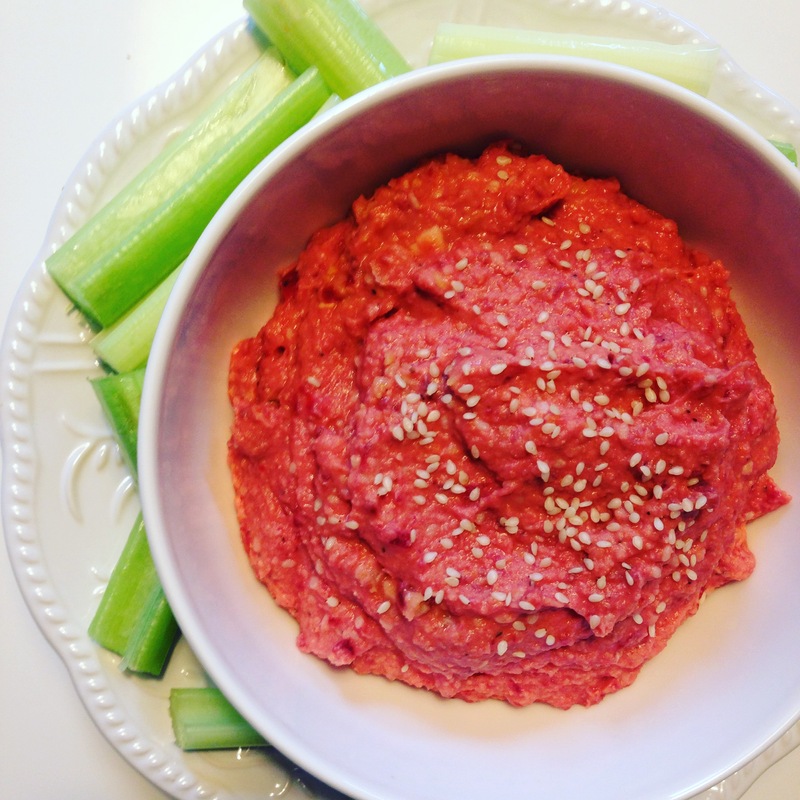 This easy breezy beautiful recipe is an amazing and creamy beet hummus, which pairs fantastically with nachos, pita wedges or raw veggies (or your finger 😉 ). On that note, let’s make some wholesome beet hummus, yo! Add all ingredients to the food processor and pulse. Spoon into serving bowl and garnish with the extra sesame seeds. 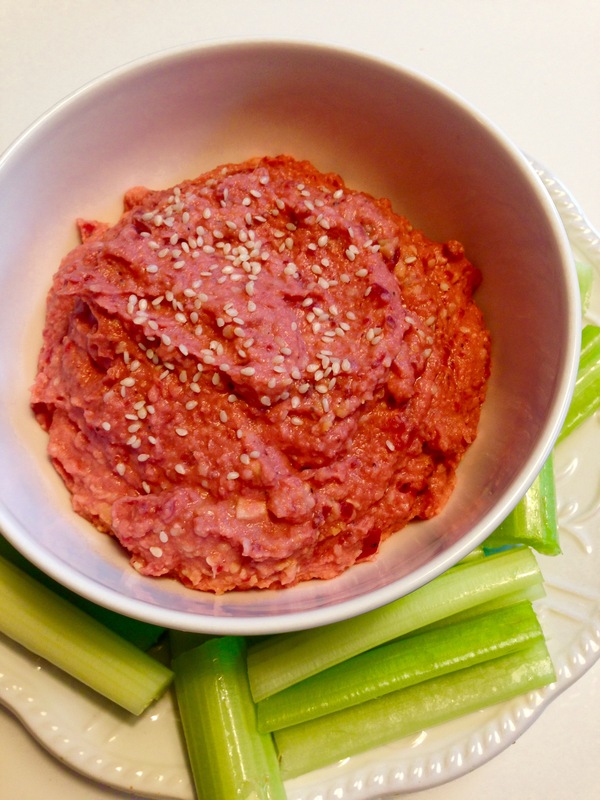 I am so going to try this hummus as I love beetroot and the colour is fab.